In 1876, Dr. J.H. 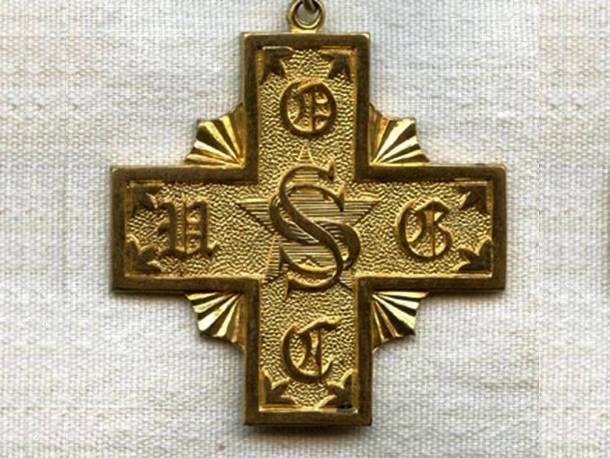 Morgan organized the United Order of the Golden Cross to provide a means through which members can have a safe and economical method of getting life insurance policies. Though it originated in England, the strength of this secret society lies in its New York chapter. Its members today are men and women from Indiana, Columbia, Tennessee and Kentucky who pledged to abstain from taking alcoholic drinks. The Golden Cross is among the very few secret societies that treat men and women equally.